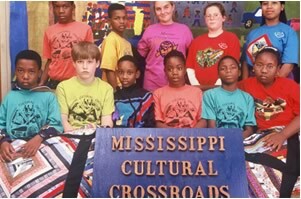 young people appreciate their unique cultural history and identity, as well as the common threads and similarities that connect them to others. 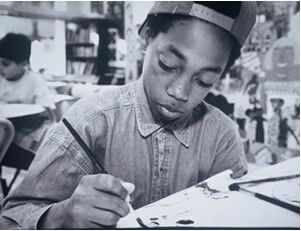 TGCD has provided assistance to community projects across the country for young people to use art and photodocumentation to record local cultural traditions and events. This work came together on a larger scale with TGCD's development and facilitation of the Young Person's Cultural Exchange Program (YPCEP). 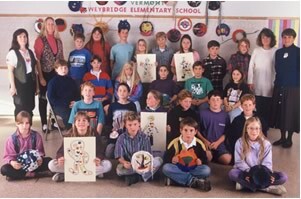 a white group from Weybridge Elementary School in the rural town of Weybridge, Vermont. 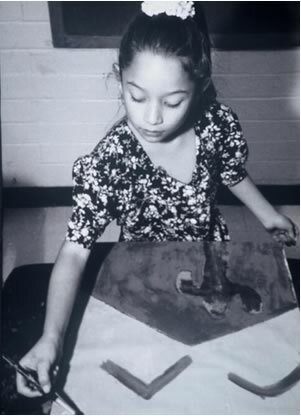 The young artists created artwork reflective of their individual and group identities and then shipped their work to the other participants. After viewing each other's artwork they discussed what they saw, what they had anticipated, and what the work communicated to them. The exchange also included site visits, so that the children could hist their peers from the other groups and show them their community. 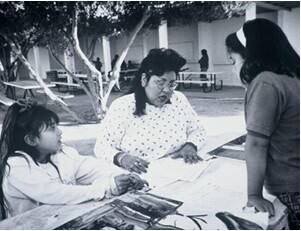 YPCEP began with a series of Team Planning histings to define its purpose and create its structure. The program was fully documented from inception through planning and implementation, and included an extensive evaluation and follow-up process. 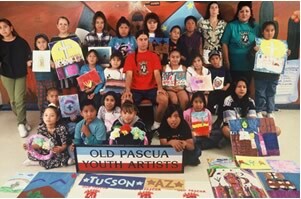 The book, The Young Person's Cultural Exchange Program: Drawing Our Worlds Together: An Overview and a Gallery of Artwork from the Exhibits, (1998), documents the process, the young people's work, and the impact of the project as a whole on the children, staff, facilitators, and communities that participated. Please contact TGCD if you are interested in replicating YPCEP, or would like more information on this program or our other work with young people. 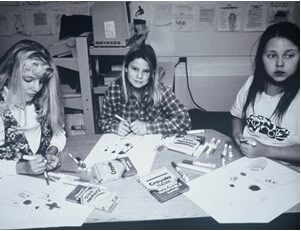 The Young Person's Cultural Exchange Program: Drawing Our Worlds Together: An Overview and a Gallery of Artwork from the Exhibits, is available for ordering online for $10.00, including shipping and handling. For more information, please go to our Online Catalog.